The energy recovery drinks (the two on the right of the pic) are not based on sugars, but on high proteins and high in medium chain fatty acids. (Fats that are absorbed in your blood relatively fast) They are supose to recover your muscles by a high content of dairy proteins and recover your energy level with the fats. This way, no bloodsugar and insulin peak is created, which we think is better for your health. 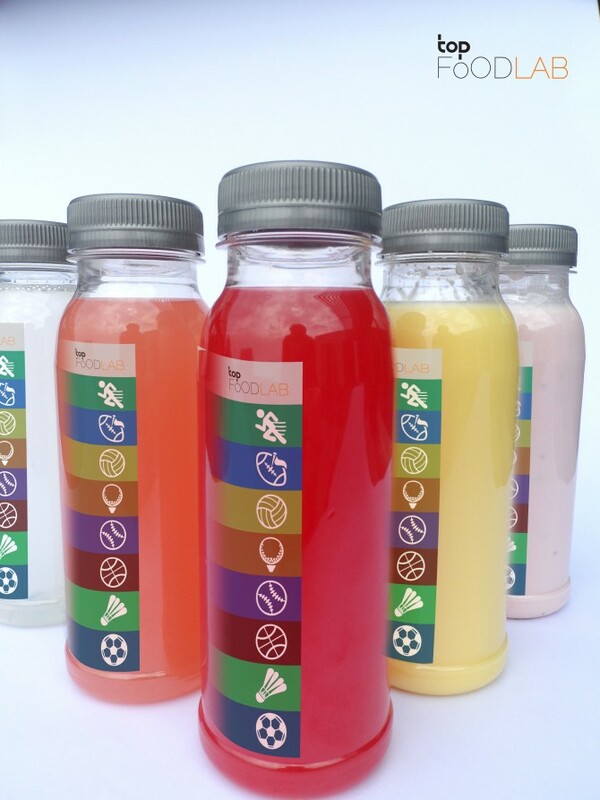 The rehydration drink is a hypotonic drink based on only water and fresh clarified fruit juice. Hypotonic means that the water is absorbed very well in your body, giving you a faster rehydration. The drink has a very low calorie level, and is a real thirst quencher. What we liked the most is the refreshing taste of the watermelon drink. A real treat after a long run in the sun!